If metaphor, analogy and turn of phrase sound tricky and you try and steer clear, you are not alone. But not our politicians, who are in the habit of using figures of speech and unusual lingo to make a point. The problem is, they are often off the mark and end up achieving effects which are totally unintended. This past week, both PM Lee Hsien Loong and Chan Chun Sing have used “kueh lapis” (cake of Indonesian origin) as a metaphor to refer to multi-layered help for the poor. This has prompted netizens to retort that even a poor man does not live on kueh alone, and that the government is trying to have its cake and eat it – addressing poverty without defining a poverty line. Both men have been at it before. 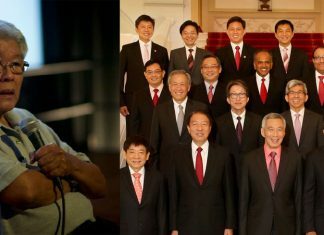 At a National Day rally speech, PM Lee tried to show connection with heartlanders by giving the example of ordering “mee siam mai hum” (mee siam without cockles). Except that in the first place, there are no cockles in mee siam and he not only failed to make his point but drew flak for messing up his order (which should have been either for laksa or char kway teow). Last year, in explaining ministerial pay, Chan compared a plate of $10 XO sauce chye tow kuay (carrot cake) with a $1.50 plate from the hawker centre. The analogy left a somewhat bad aftertaste when netizens started a Facebook page titled “We love $1.50 chye tow kuay!” The overwhelming stand was that paying $10 for chye tow kuay was money not well spent. In his time Goh Chok Tong was prolific with all manner of football analogy to describe roles in public service and standards of living – including Goalkeeper, Striker, First Division, Premier League and World Cup. But he eventually got the boot from fellow PAP politician Dr Seet Ai Mei. Seet had long harboured the belief that she suffered an electoral defeat largely because of Goh’s remarks that she was in the habit of washing her hands after shaking hands with fishmongers. This made her appear disengaged and disconnected with heartlanders. Some years later, Seet came out and said that Goh “kicked an own goal” with his remarks. Finally, someone who got it spot on! Asked for his response, Goh said, “No comment.” He knew that he had been red-carded. The late Dr Goh Keng Swee championed clear, concise, simple communication. He instructed that officers in the civil service who had to prepare communication materials be given copies of Sir Ernest Gowers’ The Complete Plain Words. I wonder what he would make of politicians who shun plain words and plain speaking to ill effect. Augustine Low is a communications strategist.